London isn't a city short on walking tours, but there are a few that don't yet exist, which we think probably should. Got some better ideas? We'd love to hear them in the comments below. Be led by a guide (not wearing Victorian costume) to the handful of London pubs where Charles Dickens reputedly never went to. 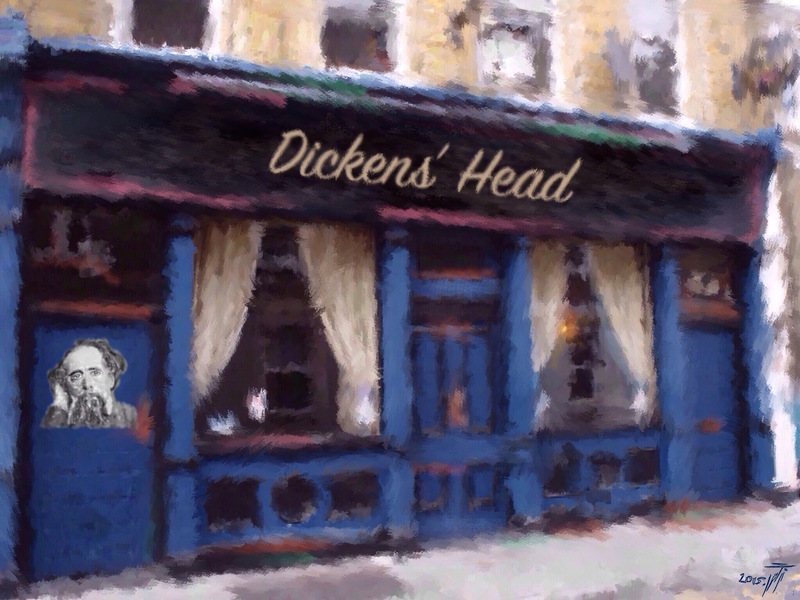 Hear underwhelming stories of how an infant Dickens never danced on one table to the delight of punters, sit in the very spot where the author most definitely wasn't inspired to come up with Fagin, and be regaled with pints of Peroni and Nobby's Nuts — things Dickens would not have enjoyed in his time. You may also like: William Shakespeare Never Drank at This Pub Walking Tour, The Krays Never Physically Assaulted Anyone at This Pub Walking Tour. Like an audio tour, except you plug this one into your nose. Perambulate the city while snuffling up smells from its past — the tanneries, jam and pickle factories of Southwark, the 'pudding' carts leading down to the Thames, the steam and soot of the original underground trains, and the pre-smoking ban boozers. You may also like: Flavours of London Walk: nothing to do with sample food — you just go about licking old bits of wall and bridge. Because history should be tasted too. 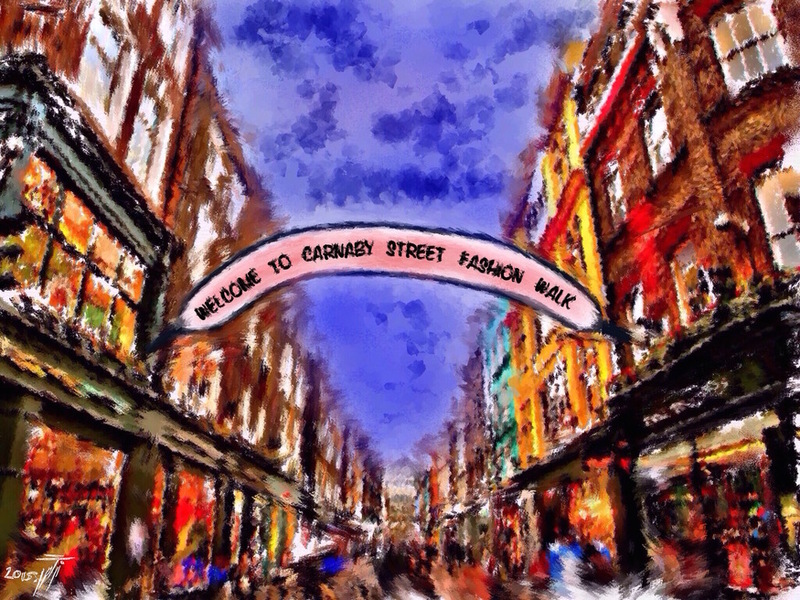 Celebrate Carnaby Street's swinging fashion heritage by getting dolled up in a miniskirt or button-strewn parka, strutting the length of the street, pouting, spinning, then strutting back from whence you came. Your guide then provides you with a change of outfit. Then you do the whole thing over again. And again. And again. East London's top kebab-chomping artists are renowned for carrying out pretty much the same ritual every day. The Gilbert & George Stalk quite literally follows in their footsteps, while a guide over-audibly does punditry on their every move ("And now as you'll see, Gilbert is turning to George, and asking him if he's got the time..."). And if Gilbert and/or George ask what you're doing, just remind them that they're public art, and you're the public. You may also like: Banksy Stalk, where you're guaranteed to not see Banksy. Abridged version of London's longer Beatles tours. Strictly groups of four. Lasts approximately seven seconds. Shoes optional. You may also like: The companion (What's The Story) Morning Glory? Walk, on Berwick Street (although some would argue this is a lacklustre follow-up of a walk, with only a couple of genuine stand-out moments). Guide yourself around London with the aid of a map; not ANY map though — the WRONG map. Pick your useless cartographic aid — we'd suggest Paris, Middle Earth, or an alternative London — draw a route, follow it as precisely as you can, draw parallels between the two places, for god's sake look out for traffic, and see where you end up. Hopefully not hospital. Retrace the very steps of some of London's most famous, and infamous, walks: Charles I's lugubrious stroll through Banqueting House on his way to the scaffold, John Cleese's Ministry of Silly Walks escapade (filmed on Thorpebank Road, Shepherds Bush), and 2003's anti-Iraq war protest march from Embankment/Gower Street to Hyde Park. For the full effect, it's suggested you book as a group of around 3 million; converging en masse doesn't look nearly as impressive when there are only four of you. You may also like: Walk of Shame Walk, where you follow in the footsteps of everyone from ousted prime ministers outside Number 10, to blethered celebs shambling out of Chiltern Firehouse. Despite its name, this isn't necessarily the final word in guided London tours. Rather, it's a walk where you go around visiting other guided London walking tours, treating them like landmarks and jabbing your brollies in their general direction. You're likely to piss off at least a couple of Jack the Ripper tour guides, and interrupt some quality Queen Victoria trivia, but London's walking tours are a fundamental part of its heritage, and must be celebrated/spied on.